The Casidra 2018-year commenced at the solid pace with which it concluded in 2017. 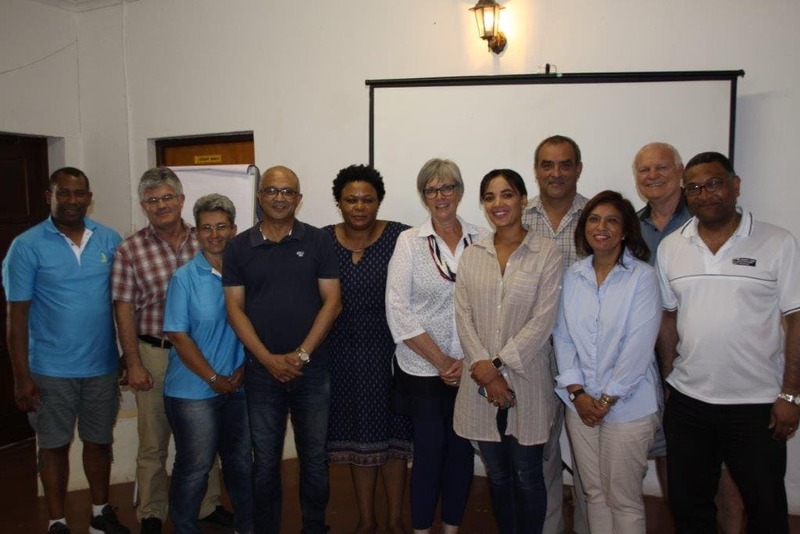 Concluding 2017, Casidra was wholly immersed assisting the Western Cape Department of Agriculture (WCDoA) in supporting livestock farmers in the drought-stricken areas of the Western Cape (WC). The Emergency Drought Relief programme required that feed be sourced from various agribusinesses to provide support to the farmers that qualified for the programme. Some of these stock items gradually started running low and supply became problematic at some stage. The huge demand for services related to borehole drilling had seen most drilling companies in the WC totally inundated with requests and resulted in waiting periods and lag times of up to 3-months and with many companies’ services pre-booked and secured with deposit payments. The incessant drought continued to impact the sector. The impact of the drought was aggravated by constant daytime temperatures averaging way over 30°C. The consequences of the drought also started to become more apparent while the water levels in the dams dwindled to extreme lows. While the obvious impact of the drought was the visible parched landscapes, the real impact could be seen with closer inspection of the volumes of fruit borne by the cultivated crops. Mid-season, the pome fruit growers estimated a decrease of between 9 to 20% for the 2017/18 harvest season. The deciduous fruit industry, which produce roughly 50% of South Africa’s exports, also estimated a decrease in production volumes. The decrease in production unfortunately have a knock-on effect and result in the subsequent decline in foreign revenue. This further result in the increase in consumer prices due to short supply of produce on the local markets. Although food security was not immediately at risk, the fallout of the drought was the resultant job losses in the sector. These losses were mainly amongst the seasonal workers. The total job losses are currently estimated at about 33 000. Another negative impact of the drought was the decline in agriculture confidence revealed by the latest AgBiz/IDC index figures. On the other hand, the drought provided the perfect force for the industry to become more efficient in its execution. The drought triggered an industry response to convene an irrigation seminar to which the industry was invited, and which was aimed to equip farmers with practical tools and strategies to mitigate and manage risks associated with the drought. On-farm, the growers had to start to deal with the allocation of water from an economic development perspective that led to them centering their decisions on whether to irrigate crops with most productive long-term prospects opposed to lower yielding short-term crops. The drought also resulted in growers reverting to technology, at a faster rate than normal, to manage the optimization of their water, irrigation systems and general orchard management. Other innovations that were spurred on by the farmers’ need to be more efficient was the various management practices employed by these growers. During this period growers took deliberate decisions to remove unproductive and sub-standard orchards and where possible replacing it with more resilient and adaptive varieties. This will translate into a situation where orchards and vineyards would be renewed with better adapted varieties once the drought situation passed. This would put growers in good stead for future production. Casidra anticipated and accordingly informed relevant stakeholders upfront that due to the availability of water the deliverables for food security projects will naturally be affected. Casidra continues to manage the Waaikraal and Amalienstein farms under management agreement from the WCDoA. The Anhalt farm has now entered the exciting stage where the submission to transfer the farm to the community of Haarlem has been signed by the Minister of Rural Development and Land Reform. The transfer seems imminent. The many individuals who worked tirelessly for so many years are now waiting with abated breaths for the time to run out and the transfer to happen. The moment however cannot pass without giving credit to the dedication of Abe October, who continued to tirelessly press on and sacrificed hours of his time to drive the cause for the transfer of the farm to the community of Haarlem. Abe, who sadly passed away in November 2017, will be sadly missed especially when the hand-over of the farm takes place to his equally passionate associates Bridgitte, Ivan, Ricardo and Nico as the CPA management and who will carry the banner forward. 2018 will continue to be a challenging year on many fronts. Casidra is however forever keen to to team up with its array of partners and collaborators to continue to serve agriculture and economic development for the benefit of the people it has been called to serve.